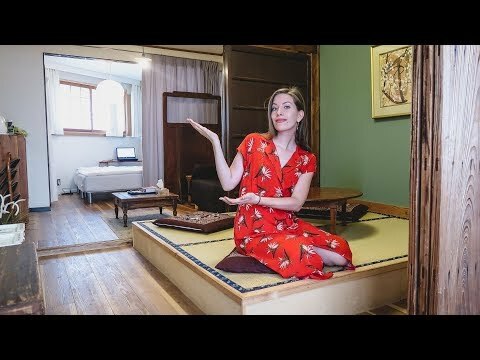 Come join us for a traditional Japanese apartment tour in Tokyo, Japan as we showcase our Shinjuku airbnb that we stayed at for an entire month. For the month of June we rented this spacious traditional Japanese apartment in Tokyo which was located on the outskirts of Shinjuku closest to ShinOkubo line (15-20 minutes walking distance) in a residential area. The nieghborhood was especially quiet down back-streets and alleys and we were nearby a grocery store and a stream where we could go walking and jogging in the mornings and evenings. In terms of our apartment in Tokyo, Japan what we liked best was first the size and second the traditional aspects of it. For Tokyo it is a big apartment offering plenty of room for the two of us and even more for guests. We loved how sections of the apartment were divided by curtains and sliding doors meaning we could section the apartment off into four different areas. With tatami mats and a traditional dining table we ate most of our meals sitting down and we also had a couple of nice office spaces where we could work on our computers. Overall, it was a great stay here at this apartment in Tokyo, Japan and unfortunately we don’t have an airbnb link to share with you because this place is no longer listed at the moment. Today we’re going to be giving you a Japanese apartment tour. We have been living in this apartment in Tokyo for about a month now. We have finally settled in and tidied up today. So it seemed like a good time to finally show you around. So yeah we’re just going to start right now because we’re right by the main entrance. We are. So basically we’ve got a door here. Yes. To Sam’s right. This is our main entrance right here. It is. It opens up into this hallway where you can take off your shoes. You can hang up your jacket. It is the rainy season so lots of umbrellas. The most important thing. They left us two and we were out stranded one day and we picked up one ourselves. So we actually have three and we’ve been using them a lot. Yeah so that is kind of like the little entrance way. We’ve got some cool little curtains as a division from the other room. But we’re going to enter through here actually to take you into the main part of the apartment. So follow me this way. And I will say right off the bat this is the largest Japanese apartment we were able to find online. Yeah. A lot of them were just like studios. So basically one room where you had your bedroom and your kitchen and your living area and we were like no we’re going to be here a while so we need more space. And we got so lucky. We were able to find an apartment with 4 different areas. Yes. Basically we are back where we began. So that concludes our Japanese apartment tour. We hope you guys enjoyed having a look around. Now you know what to expect if you get really lucky with a large apartment. Yes. We are in a residential area kind of like in the outskirts of Shinjuku. Yes. It is not as touristy here. No. It definitely feels more local. It does. Rents are cheaper. So yeah. 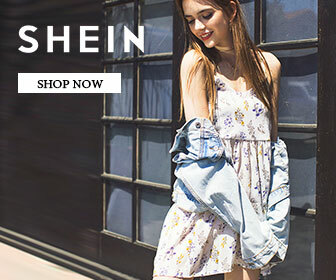 We’re what? A fifteen or twenty minute walk from the metro? Yeah, I would say maybe 15 minutes from the closest station on foot. Right. Which isn’t bad. Unless it is raining. ShinOkubo. Okubo. Okubo. That is how they say it when they announce it. Okubo. But yeah that is our apartment. We’ve really enjoyed being here. And yeah we’re going to be showing you some of our other accommodations as we continue to travel through Japan so stay tuned for those. Ciao for now. This is part of our Travel in Japan video series showcasing Japanese food, Japanese culture and Japanese experiences.